There is nothing worse than being unable to fall asleep after a tough day. If this sounds familiar, don’t worry as you aren’t the only one dealing with this problem. As a matter of fact, “approximately 30% of American adults suffer from insomnia, with 10% saying that it results in consequences during the daytime. Most people turn to pharmaceuticals to aid their sleep, but they help in the short term only. In addition, they present a wide range of side effects, such as headache, dizziness, diarrhea, changes in appetite, burning or tingling in the limbs, stomach pain, unusual dreams, weakness, problems with attention and memory, uncontrollable shaking, flatulence, constipation, heartburn, and difficulty keeping balance. Insomnia is a very common diagnosis for those who are not able to sleep due to factors like frequently waking up during the night, having a hard time falling asleep, or waking up too early or simply just not getting a deep sleep. The most common causes of insomnia include depression, anxiety, hypertension or medical problems and illnesses. With the unpleasant symptoms like lack of concentration, poor memory, lower cognitive function, anger, upset stomach, lack of coordination and moodiness, how can a person get anything done? Well, the good news is that aside from soft music and chamomile nutmeg can be use for insomnia and sleep deprivation. If you would like to get a good night`s sleep without worrying about the side effects of sleeping pills, read on! Due to its strong flavor, most people use this spice sparingly. If you do so, it is high time you changed that. 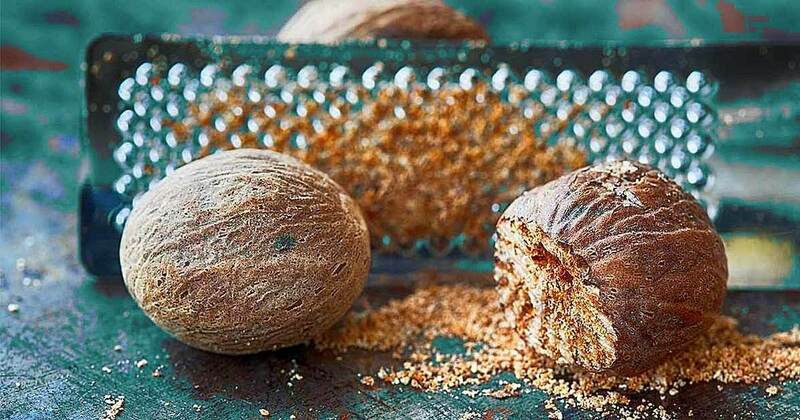 Nutmeg is packed with myristicin, a compound that inhibits the release of stress-causing enzymes. In other words, it works as a potent sedative that helps in both insomnia and sleep deprivation. Nutmeg should be taken in moderation (one pinch). Remember a little goes long way! This spice isn’t recommended for pregnant women and children due to potential toxicity, even though it is very rare. As nutmeg has been associated with toxicity and hallucinations in high measurements, make sure you never exceed ¼ teaspoon and only take it under the supervision of your physician. Note that nutmeg can react with some medications, so make sure you consult a doctor in case you are taking any. For the simplest recipe ever, mix ¼ teaspoon of nutmeg power with a cup of water ( eight or more ounce) and drink it an hour before bedtime. If this doesn’t work for you, feel free to swap it for nutmeg-honey mix. Mix a pinch of nutmeg powder with a spoon of honey and consume it before bedtime.